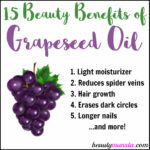 10 Beauty Benefits of Prickly Pear Oil for Skin & Hair - beautymunsta - free natural beauty hacks and more! If you have a thing for exotic and unique oils, Prickly Pear Oil may just tickle your fancy! Before we learn about the beauty benefits of prickly pear oil, let’s have a look at some important facts and info. The prickly pear is native to Mexico and N.America. It can now be found in Morocco, Tunisia and South Africa. Its color ranges from clear to yellow to light green. It has a light nutty smell. Some say a bit like vegetable oil. Prickly pear oil is a light oil with a thin texture. 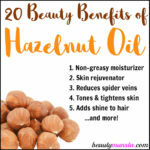 This oil is a non-irritant and relatively safe for all skin types. However, it’s always wise to first patch test with it. To do a patch test, simply apply 1-2 drops of prickly pear oil on your inner wrist/elbow. If you notice any irritation within 1-2 hours, then do not use prickly pear oil. You might be wondering why you need oil for oily skin. Oily skin still needs to be moisturized! Prickly pear oil is has such a light consistency and is a great choice for oily skin. Get a 2 oz amber glass dropper bottle then with the help of a small funnel, pour in 2 tbsp of prickly pear oil. Now add 6 drops of tea tree essential oil and 6 drops of lavender essential oil. Close the bottle and shake well. Use 2-3 drops to moisturize your face. Prickly pear oil is rich in some unique antioxidants. Antioxidants protect your skin against free radical damage and reduce the chances of premature wrinkles and age spots. 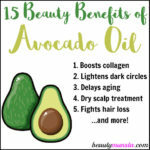 To make prickly pear oil more spreadable for massage, mix it with heavier oils like avocado oil or castor oil. It’s a good idea to start protecting your skin against wrinkles even before they appear. Prickly pear oil has anti-aging properties that prevent fine lines and reduce wrinkles. 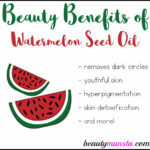 Make an anti-aging serum by combining 1 tsp prickly pear oil, 1 tsp pomegranate seed oil, 1 tsp argan oil and 1 tsp watermelon seed oil in a 2 oz amber glass dropper bottle. Now add 4 drops lemon oil and 4 drops sandalwood oil. Close the bottle and shake gently to mix all ingredients. Use 2-3 drops on your face and neck at night time. Prickly pear oil has healing properties that help reduce dark circles around the eyes. Apply the oil gently under the eyes every night for best results. 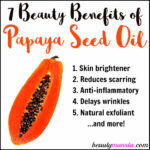 Many people have reported a significant reduction in redness after using this oil. Prickly pear oil seems to be an effective remedy for redness as well as puffiness. Prickly pear oil serves as a wonderful, light carrier oil for your essential oils, herbal extracts and more. If you have greasy hair, prickly pear oil could be your light-weight solution for serum. Unlike other oils, prickly pear gives your hair a sleek, tangle-free sheen without leaving it heavy or oily. 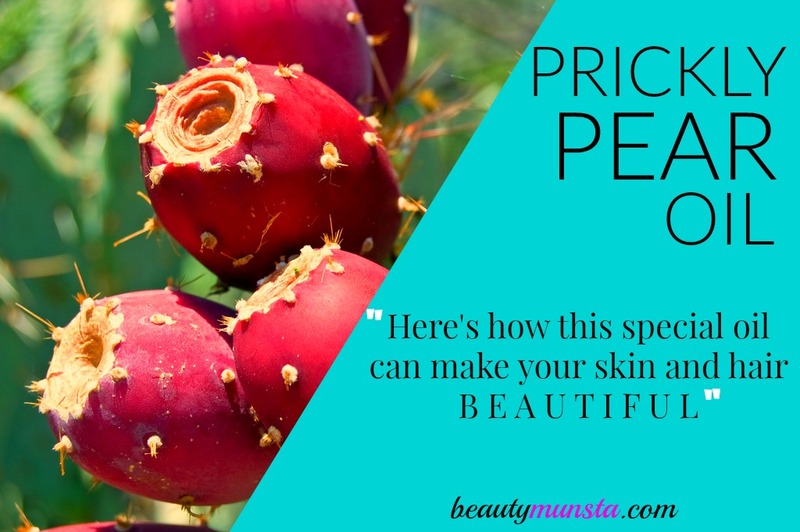 Prickly pear is one of those oils that sinks right into the skin really quickly. It’s quick penetrative properties make it one of the best oils to apply for easy absorption. 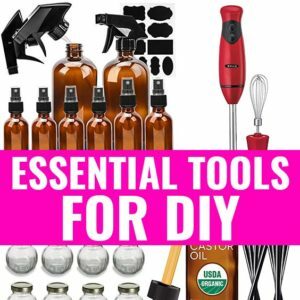 Use prickly pear oil for oil cleansing. It has a light consistency and is perfect for cleansing all skin types. Always ensure to buy 100% pure high quality prickly pear oil. 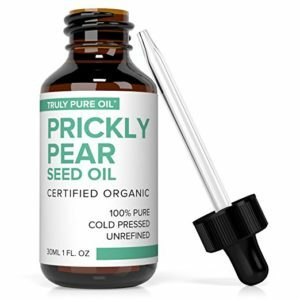 It’s a bit hard to find prickly pear oil but my best choice is 100% Pure Cold Pressed Certified Organic Prickly Pear Oil from Truly Pure Oils. There we go! Prickly pear is an oil that you should definitely try at least once in your life. You just might get addicted!